Dissolution of marriage in Pakistan means putting an end to the marriage relationship. Dissolution of marriage in Pakistan can be at the instance of husband or wife. When the Dissolution of marriage in Pakistan in initiated through the husband it is called talaq and when Dissolution of marriage in Pakistan is initiated through wife it is called khula in Pakistan. Procedure of talaq from husband is different from procedure of khula in Pakistan through wife. Both the procedures are different in nature. The law of dissolution of marriage in Pakistan by the way of talaq is different and law of dissolution of marriage by the way of khula in Pakistan is different. 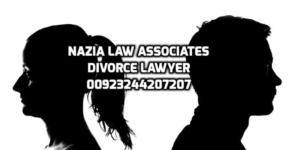 For khula the wife needs to approach a family court in Pakistan through a divorce lawyer in Pakistan and for Talaq the husband needs to approach arbitration council through a divorce lawyer in Pakistan in order to get a divorce decree or certificate. Dissolution of marriage in Pakistan can also be done by the death of any of the spouse. When any of the spouse dies then in such case there is no need to follow a divorce procedure in Pakistan and the husband or wife don’t need to approach a family court or arbitration council. In case of death of any of the spouse all what is required is a death certificate. A death certificate is only required and is the only document required for the purpose of second marriage of the any of the spouse.